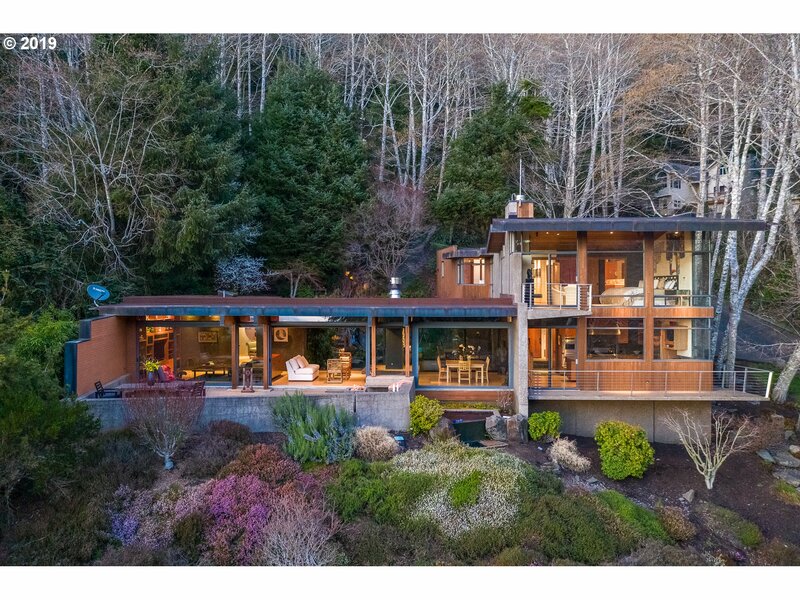 All Yachats homes currently listed for sale in Yachats as of 04/20/2019 are shown below. You can change the search criteria at any time by pressing the 'Change Search' button below. If you have any questions or you would like more information about any Yachats homes for sale or other Yachats real estate, please contact us and one of our knowledgeable Yachats REALTORS® would be pleased to assist you. "Storybook oceanfront villa estate on the scenic Oregon Coast. Approx. 5 acres of oceanfront land with concrete block wall for security and comfort. Gated private drive leads one over a stone bridge right out of your favorite fairy tale to the main villa, built to withstand the huff & puff of any big bad wolf. Separate guest quarters and beach access to Happy Dog Beach. This coastal villa will bring out the happy dog in everyone!" "East meets West in Yachats on the Oregon Coast ! Unique custom contemporary home designed by David Hertz, AIA in an environmentally sensitive architectural style. Sited to take advantage of breathtaking ocean, coastline and estuary views, one is surrounded by materials selected to harmonize with the lifestyle of the northwest. The private courtyard, pond, patio and your very own fallingwater ! Live the coastal lifestyle today !" 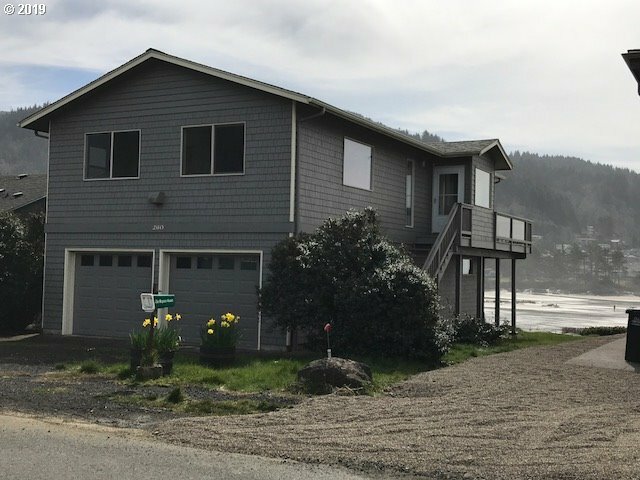 "Warm and welcoming oceanfront chateau home ideal for family gatherings or corporate retreats on the Oregon Coast! Elegant touches and a multi-generational floorplan highlight this meticulously maintained estate property. 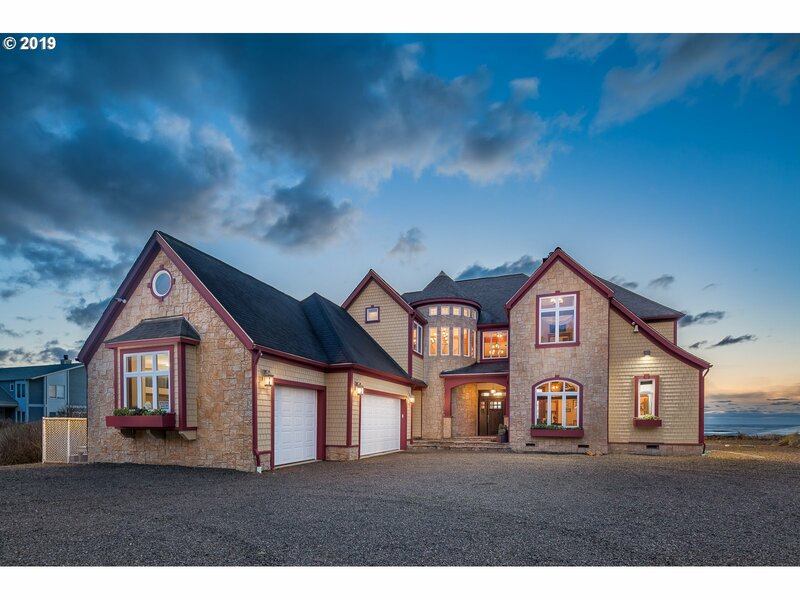 Private gated driveway leads you up to this spectacular home with old world feel yet modern amenities. Your front door opens up to the expansive great room with vaulted ceiling, stone fireplace and wall of window view!" "Private Estate, Multi-Generational Home, B&B, Corporate Retreat, Rental Income.Seaside beach retreat on almost 4 pristine & private acres with dramatic wide Pacific Ocean views. Main home is artfully constructed for dual or private living. Forest guest cabin tucked away in the woods sleeps 6, Finished guest quarters above 2 car carriage house & over the shop, Small barn, 2 RV spaces, green house. Exceptional quality through out." "This property offers the dream a self-sustaining homestead. Located in the sought-after Yachats River Valley, the Siuslaw National Forest is your neighbor on three sides. The main house is wonderfully remodeled. Attached office with full holistic health clinic. This house is a creative repurpose of a prefab shell, combined with traditional building, to create a dream home. 9.5 miles from the beach. https://1266nyachatsriverrd.com"
"Fabulous Location! Panoramic, unobstructed ocean views. Easy access for beachcombing, tidepooling and exploration of the beautiful Yachats coastline. Walking distance to downtown shops and attractions. 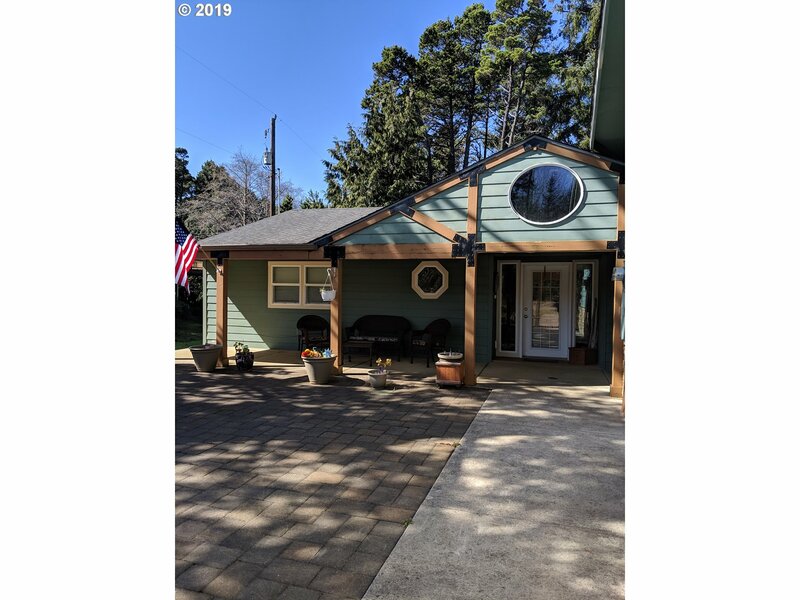 This 3 bed, 2 bath home offers 1776 square feet, vaulted ceilings, 2 car attached garage and wrap around deck to enjoy the views. Call today to arrange your private viewing!" "Beautiful Manuactured Beach Home w/ Open floor plan & walking distant to Beach. Large Kitchen w/island, built-in pantry, lots of storage & appliances included. Master Bedroom Suite w/soaker tub, walkin-shower & closet. 2 Additional Bedrooms each w/Baths. Large paver patio out front w/water feature & covered deck off Dinning Rm. Access to treed back yard from deck. Detached 3 Car Garage/Shop heated. Great for Entertaining!!!"